© Ian Spanier Photography 2017. How could I not take advantage of the great hiking trails around me? When I first got my hands on the Platypod Ultra I decided to take a morning hike up into the Santa Monica Mountains. I’ve had my time in the trenches dragging a heavy tripod around Scotland, later trading it in for a lightweight carbon fiber model, (Duh! How could I wait so long to do that?!?). When it comes to those times you want to bring a camera for those moments when inspiration strikes- but you don’t want to drag your whole kit, slipping a Ultra into your bag is perfect. The thin design takes up next to no real estate and Ultra also can conveniently be attached to any belt loop. 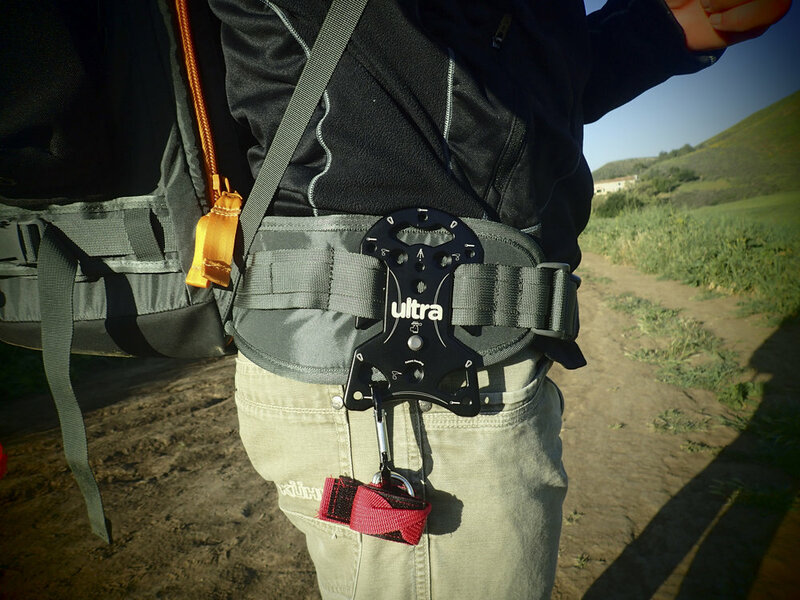 The carabiner conveniently holds the spikes and even the strap from the add-on Multi kit. As the sun came up, I spotted a perfect test for the “tripod-anywhere” nature of Ultra. Thanks to a rusty pipe, Ultra had a perfect column on which to balance. With the low-light, I needed the security of a stable setting to get the best exposure of the darker foreground mixed with the brightness shooting straight into the rising sun. The final image (at the top of the page) needed to have a steady camera to get the proper exposure for the grass and darker trees. When it comes to packing light, Ultra’s clip-on style makes for easy access on treks. Plus, the Multi kit strap clips onto the carabineer easily, leaving it out of your hands as you prep the spikes or your camera. I’ll often leave my ball head attached to the Ultra as I am moving about- adding speed to those moments I want to set up a shot.